We are delighted to announce that following our application, Music for Youth has invited Norfolk Music Hub and Norwich Theatre Royal to put together a Massed Ensemble Performance in the 2019 Music for Youth Proms at the Royal Albert Hall in London! 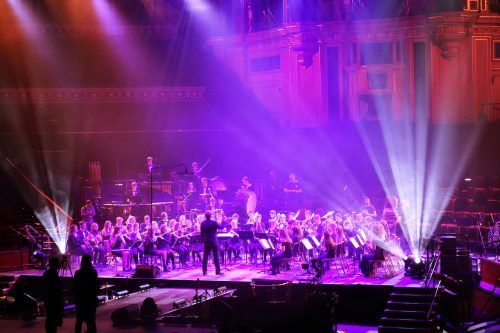 The Music for Youth Proms showcase the extraordinary talent from thousands of the UK’s young musicians, creating an unforgettable experience for the groups performing and the audience. Building on our existing partnership with Norwich Theatre Royal on the Norfolk Schools’ Opera Project, taking place in June 2019, we are putting together a massed performance of A Kind of Magic Flute. The piece is part of a new children’s opera, based on Mozart’s The Magic Flute, which adds a distinctive salsa flavour to the original melodies! We will soon be releasing more details of how schools may get involved in this exciting project. Keep an eye on our news and how to buy tickets for the Music for Youth Prom in November.